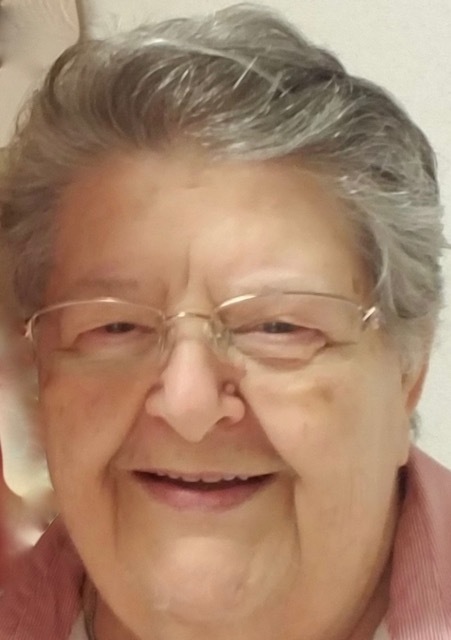 Carole Alice Lenz, age 79 of Belle Plaine, passed away on January 25, 2019 at the Lutheran Home in Belle Plaine. Memorial Mass will be at 11 a.m. on Monday, February 4, at Our Lady of the Prairie Catholic Church in Belle Plaine. Fr. Brian Lynch will officiate. Visitation will be from 2-5p.m. on Sunday, February 3, at the Kolden Funeral Home in Belle Plaine and continue one hour prior to the Mass at church on Monday. Interment will be at a later date in Sts. Peter & Paul Catholic Cemetery in Belle Plaine. Memorials are preferred. Carole was born in Mankato on January 17, 1940 to Peter and Bernice (Nenow) Queen. She grew up in Madison Lake and graduated from Cleveland High School. Carole married Joseph Lenz on June 9, 1962 at Marysburg Catholic Church in Madison Lake. They made their homes in Madelia, Belle Plaine, Adrian, Litchfield and back to Belle Plaine recently to be closer to family. She worked various secretarial jobs throughout her married life. Carole loved her family dearly and spoiled her grandchildren, especially with treats. She is preceded in death by her parents and brother, Donald “Duke” Queen.